Magic Leap, a secretive augmented reality startup backed by tech giants Google and Alibaba, has revealed a brief new a demo of its augmented reality goggles. The firm showed prerecorded clips of the goggles in action as it announced it has partnered with AT&T to exclusively sell its wireless gadgets in the United States. The product, Magic Leap One, is scheduled to ship later this year to designers and developers. The company’s technology creates lifelike virtual objects that seamlessly blend with natural objects when viewed through its headsets. ‘This advanced technology allows our brain to naturally process digital objects the same way we do real-world objects, making it comfortable to use for long periods of time,’ Magic Leap said. Magic Leap’s Colman Bryant demonstrated how the system can track ungloved hands without controllers. Eye tracking and head tracking are both included, as well. AT&T customers can buy the gadget in stores in Atlanta, Boston, Chicago, Los Angeles and San Francisco, with more markets to follow, AT&T said. While the company has been working in secret for years, releasing little information about its products, competitors such as Facebook Inc have gained ground with its Oculus virtual reality headsets. The company has now confirmed that it is using an Nvidia Tegra X2 multi-core processor inside the unit’s wearable puck-shaped computer housing. The company’s Alan Kimball on a webcast the hardware includes a Parker system-on-chip, consisting of two ARM A57 cores, one dedicated to feeding graphics, while another is for game and app logic. 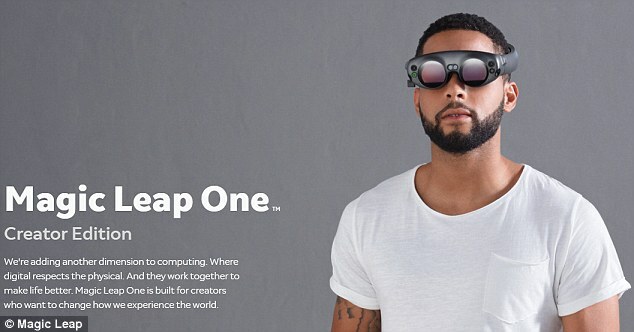 Magic Leap boasts marquee investors such as Alphabet Inc’s Google, Qualcomm, Alibaba, Time Warner’s Warner Bros and Singapore government-owned investment firm Temasek Holdings. The well-funded start-up raised $461 million in its latest funding round in March, led by the Kingdom of Saudi Arabia’s sovereign investment arm, taking the total funding to over $2.3 billion to date. 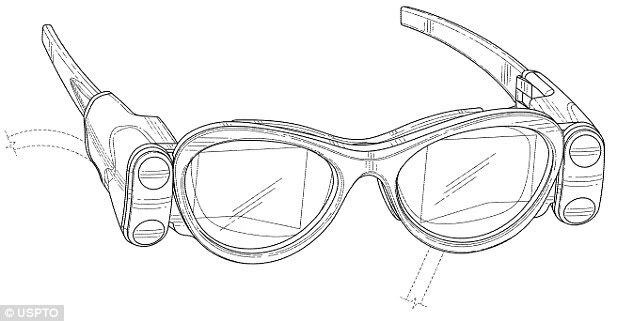 HOW DO MAGIC LEAP’S LIGHTWEAR AUGMENTED REALITY HEADSETS WORK? 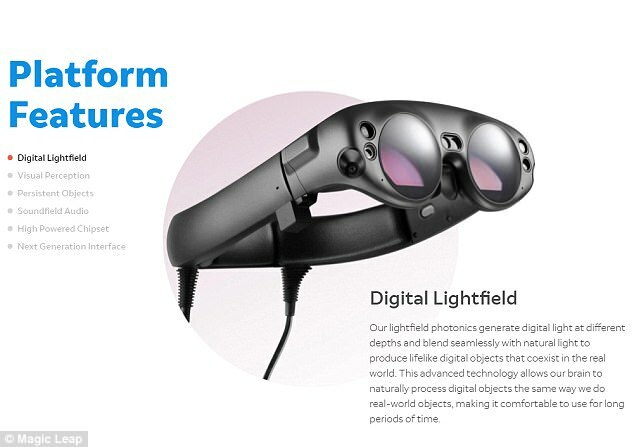 Magic Leap’s first device, Magic Leap One (Creator’s Edition), contains three components. These are the Lightwear glasses, the Lightpack computing platform, and the Control handheld controller. The Lightwear goggles use Digital Lightfield technology, which generates digital light at different depths. This blends with natural light to produce more lifelike objects over real world settings. The Lightpack, the firm explains, is the ‘engine’ behind the spatial computing platform, with high-powered processing and graphics in a small, portable design. And, the handheld controller will give users force control and haptic feedback, and allow for six degrees of freedom.